Apple Pay may launch in the Czech Republic sooner rather than later, debuting on Feb. 19, according to one report. AT&T is being taken to court by Sprint over its use of the "5G E" symbol for when iPhones and other smartphones connect to AT&T's mobile network, with Sprint's lawsuit claiming its competitor is misleading customers into thinking they are on a 5G network when they are really on 4G LTE. T-Mobile's still nebulous streaming TV plans will concentrate on existing outside subscription services rather than offering up a new package of live TV channels, the company said in a Thursday earnings call. Apple has confirmed it is going to reward the 14-year-old who discovered the Group FaceTime surveillance exploit, providing the family with compensation for finding the bug as well as helping towards the teenager's future education costs. Apple on Thursday premiered its latest iPhone ad, trumpeting Portrait Mode on both the XS and the XR. It may not be for everyone, including e-skate fans, but it's hard to deny that the Boosted Stealth is a top-quality board, maybe even a good choice for beginners committed to learning. The audience for iPhone is continuing to grow in the United States, albeit at a slower rate, research suggests, with the install base for Apple's smartphone reaching 189 million units in the last quarter of 2018, an increase of 23 million on the same quarter in 2017. Originally set to take effect this month, the Indian government has postponed a tax on touch panel imports that would have impacted smartphone makers like Apple and Samsung. 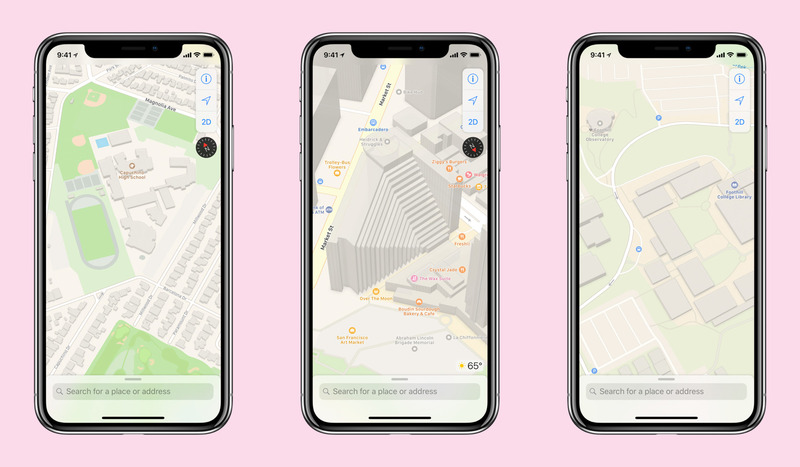 Apple has revamped its schedule site for Apple Maps ground reconnaissance, simultaneously revealing more on-foot efforts in the U.S. and plans to start the first vehicle work in Andorra. In order to continue selling the iPhone 7 and iPhone 8 in Germany, following a court's decision to ban the sale of patent-infringing iPhones at retail in the country, Apple is looking into making changes to the hardware of the two models as a workaround to the court order. Two weeks after releasing director Jia Zhangke's "The Bucket," a short film commemorating Chinese New Year, Apple on Tuesday posted a video that goes behind the scenes of the "Shot on iPhone" production. A federal judge has granted an Apple motion to limit the damages Qualcomm can claim in a patent trial slated to start next month in San Diego. You can now encase your iPhone 8, iPhone 8 Plus, or iPhone X in a sleek Tesla adorned case or folio through the company's new online store on Amazon. A new attempted class action lawsuit claims Apple is forcing owners of iOS devices to repeatedly buy new chargers by updating the iPhones with new requirements, after a user found her old charger suddenly stopped functioning properly with her iPhone. The Taiwanese city of Taoyuan is investigating charges that an important Apple supplier, Career Technology, pushed 200 full-time workers to sign "voluntary" resignations. Apple and Roku are reportedly in negotiations to bring AirPlay 2 to the latter's media streamers, and possibly Roku-based TVs by the likes of Sharp and TCL. AT&T's controversial move to add a "5G E" connectivity logo to smartphones on its network has seemingly reached the iPhone, with the second beta of iOS 12.2 reportedly displaying the logo on the screen when the iPhone access part of the carrier's "5G Evolution"-based network. Apple has started to sell manufacturer-reconditioned versions of the iPhone X through its online store, but while it provides a cheaper alternative to the current-generation iPhone XS, the pricing of the models makes it more expensive to acquire than the newer iPhone XR. An Apple executive has reportedly suggested that the 14-year-old who discovered the Group FaceTime surveillance exploit would be rewarded by the company's bug bounty program. Microsoft's Xbox Live online platform -- originally limited to its namesake consoles -- should soon come to a variety of third-party games on other hardware, including iPhones and iPads.